You could own a piece of The Hunger Games! The Hunger Games Auction is November 16th, just in time for the release of Catching Fire. 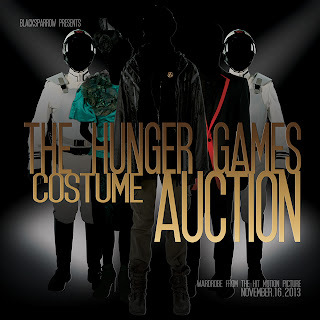 On November 16, 2013, Blacksparrow Auctions will conduct a live auction of over 200 original screen-worn costumes from the hit blockbuster, The Hunger Games.The auction will take place at the world famous TCL Chinese 6 Theatres in Hollywood, CA. Interested bidders can participate in this auction in person, by telephone, absentee and Internet. Included in the auction will be costumes worn by Jennifer Lawrence as “Katniss,” Josh Hutcherson as “Peeta,” Elizabeth Banks as “Effie,” Stanley Tucci as “Caesar,” Liam Hemsworth as “Gale,” Woody Harrelson as “Haymitch,” Lenny Kravtiz as “Cinna,” Donald Sutherland as “President Snow,” Wes Bentley as “Seneca,” and many, many more. Two print catalogs are available for purchase: a softcover and a limited edition hardcover.Please contact us at blacksparrowauctions@gmail.com for more information. You can also sign up for the newsletter to receive regular updates. 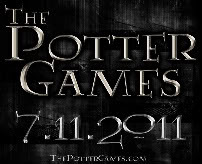 Do check it out because they will be auctioning off everything, which means just about anyone has a chance to go home with a piece of historical THG awesomeness. Blacksparrow Auctions is pleased to announce The Hunger Games Costume Auction, to be held on Saturday, November 16, 2013 at the world famous TCL Chinese Theatres in Hollywood, CA. Over 200 original screen-worn wardrobe will be up for auction, including costumes worn by Jennifer Lawrence as “Katniss,” Josh Hutcherson as “Peeta,” Elizabeth Banks as “Effie,” Stanley Tucci as “Caesar,” Liam Hemsworth as “Gale,” Woody Harrelson as “Haymitch,” Lenny Kravtiz as “Cinna,” Donald Sutherland as “President Snow,” Wes Bentley as “Seneca,” and many, many more. Interested bidders can attend in person or bid via phone, absentee and online. A print catalog is available for pre-order now at blacksparrowauctions.com. 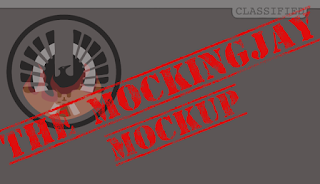 Blacksparrow will also team up with The Hollywood Show to provide Hunger Games fans with one final opportunity to view a selection of the film’s costumes. The Hunger Games Exhibit Tour was previously in Seattle at Emerald City Comicon and in Chicago at the Chicago Comic & Entertainment Expo. The costume exhibit will be open to the public at The Hollywood Show in Los Angeles from October 4 to 6, 2013. For more info about The Hollywood Show and to purchase tickets, please visit www.hollywoodshow.com.